Read about - Island Stack Walk below. 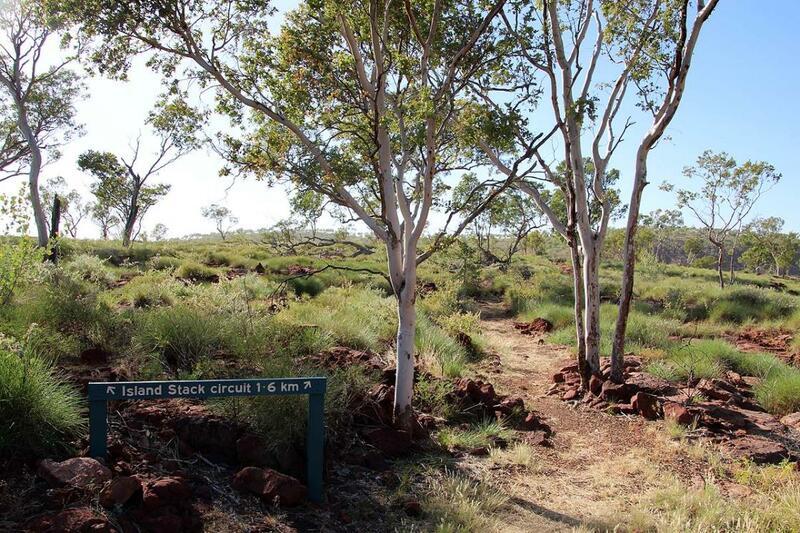 We only had a morning to explore some of the walking trails within Boodjamulla (Lawn Hill) National Park and were advised to take the Island Stack Walk. Very pleased we took this advice as the views are quite stunning - great panoramic views of Lawn Hill Gorge and Boodjamulla National Park. The climb to the top is quite steep but some of the rocks have been cemented into place to make it more stable. This is rated a difficult walk and I was very pleased we had taken our walking sticks to aid in the climb and descent from Island Stack. The walk around the top of Island Stack is about 1.7 kilometres and you will get some great photos. The trail is well marked and I suggest you keep an eye out for the amazing birds that live in the National Park - we saw budgies in the wild (a treat), Azure Kingfishers, finches etc. have you been to Island Stack Walk? Explore Island Stack Walk - Lawn Hill - Boodjamulla NP with RvTrips and find out where to stay, what to do and what to see. Helping caravan, motorhome and camper owners have a great holiday.